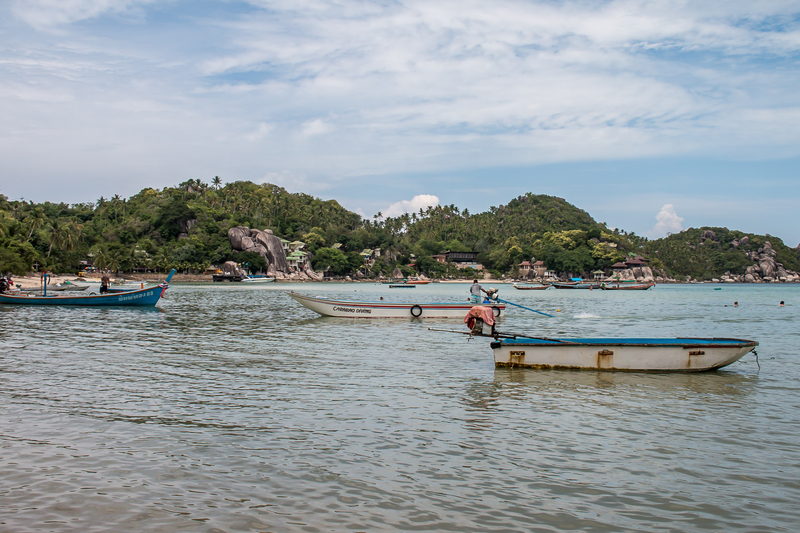 The first stop on our Thai island-hopping adventures in the Chumphon Archipelago was the teardrop-shaped island of Koh Tao, sometimes referred to as ‘Turtle Island’. The island is a well-known tourist hotspot, with tourism contributing to the majority of the island’s economy. 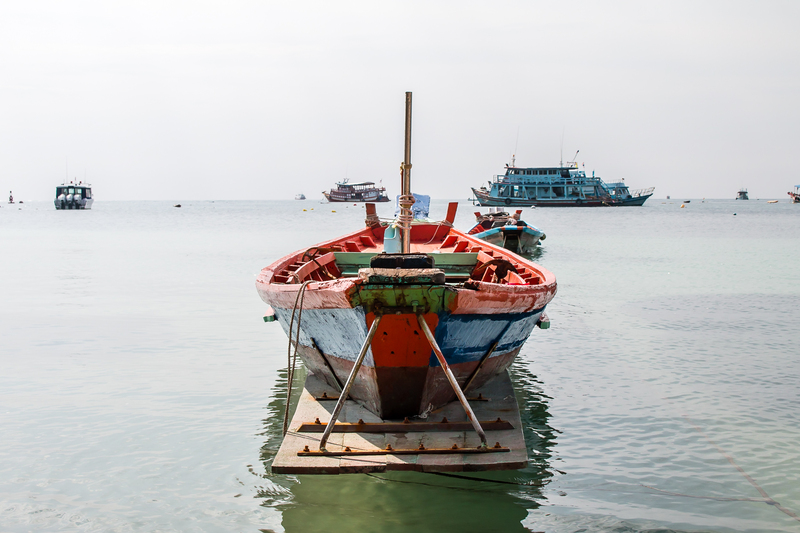 It’s particularly popular for those wanting to learn how to scuba dive due to its tropical fish, beautiful coral reefs, clear waters and the presence of turtles. 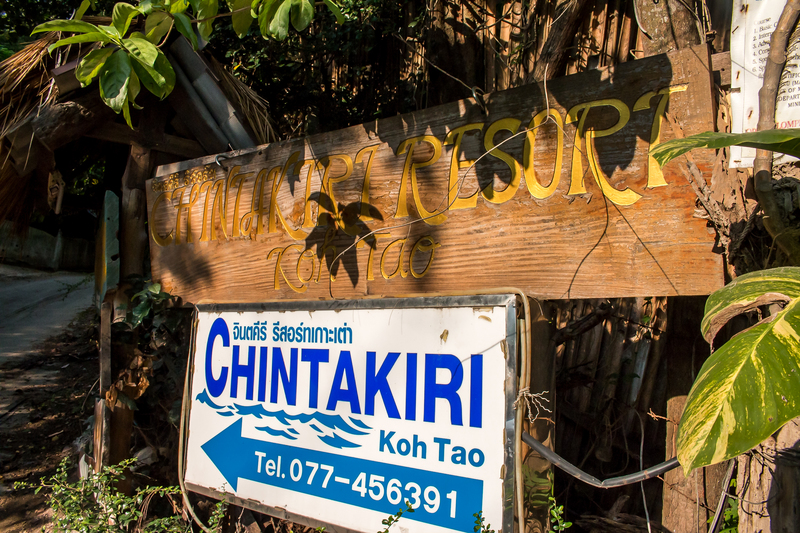 For our stay on Koh Tao, we stayed at Chintakiri Resort, nestled within the tropical jungle surroundings on a hillside looking out to sea. 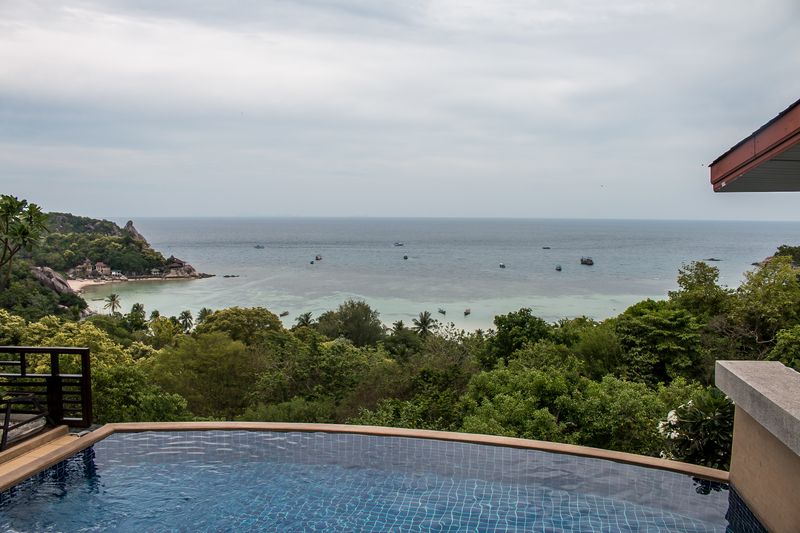 With individual bungalows, an infinity pool and an in-house restaurant serving local Thai delicacies, it was a great base for our three days on the island, albeit up a very steep hill, which wasn’t so fun when strolling back from the beach. 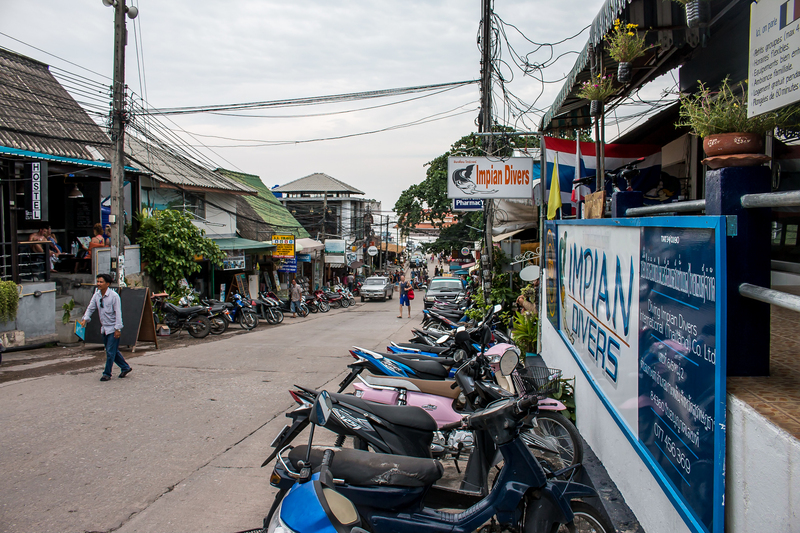 Just a few hundred metres from the beach, we had access to golden sands and blue ocean, much like one would picture when they think of Thailand. 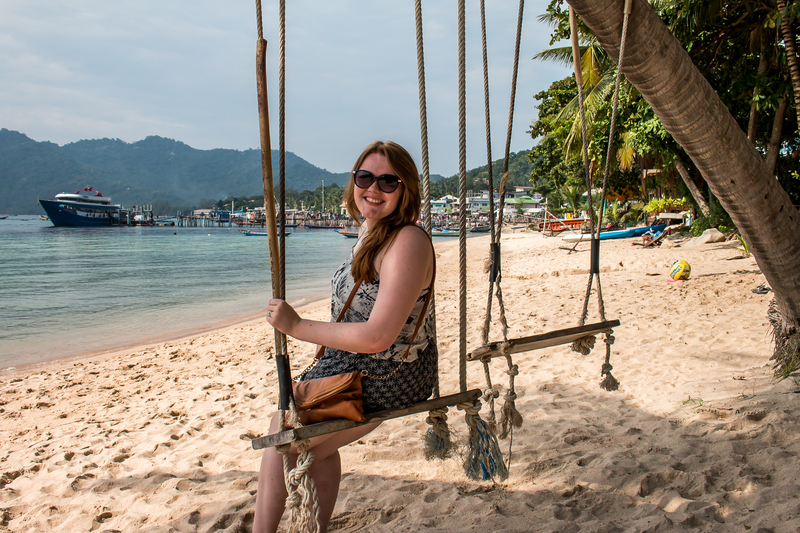 We spent our first day relaxing on the golden sands, getting those classic ‘Thai Holiday’ photos and enjoying cocktails at a local beach bar. The beach was covered in beautiful coral fragments from the nearby reefs and the view of the bay was spectacular. 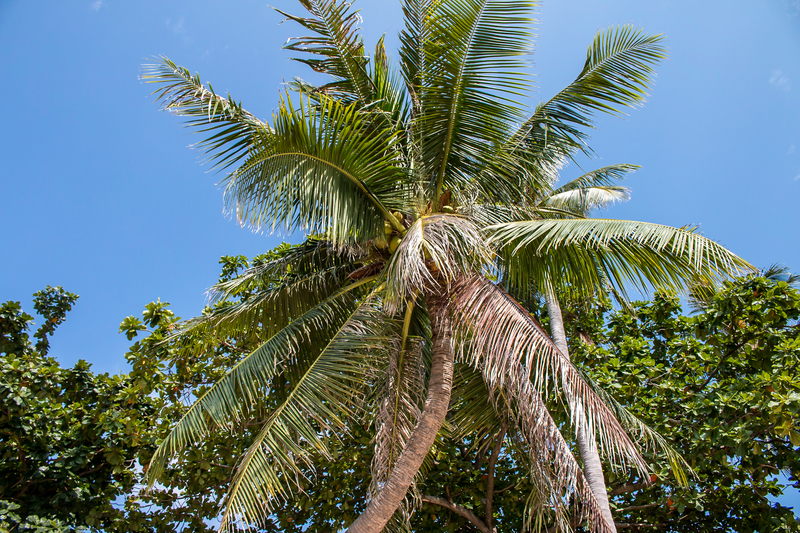 It was lovely to simply relax on the beach swing hanging from a palm tree and take in the natural beauty of this island paradise. 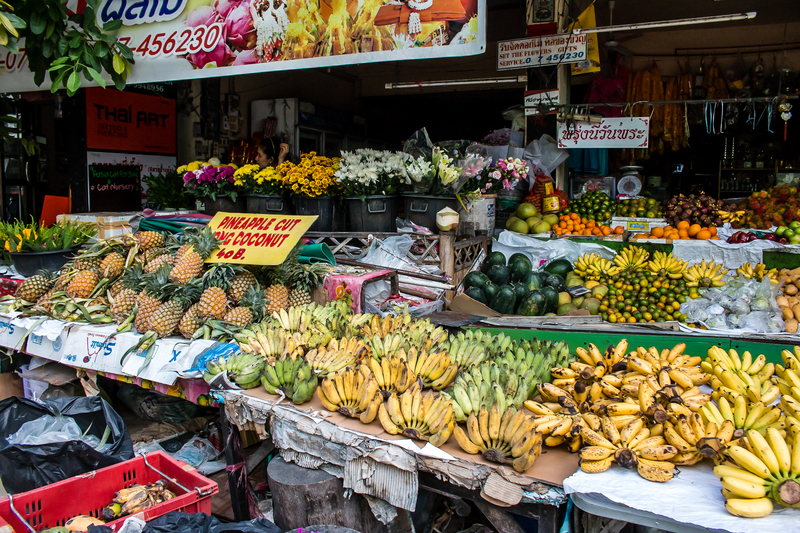 Food and drink are really good value in Thailand so I recommend trying all the local dishes (and drinks). Start by trying something you’ll recognise off the menu such as Thai green curry or Pad Thai – a personal favourite, then get more adventurous as you go! Just be wary of street food that may have been out in the sun for a long time exposed to flies. If somewhere has a queue it’s better to wait in line and get something freshly prepared. 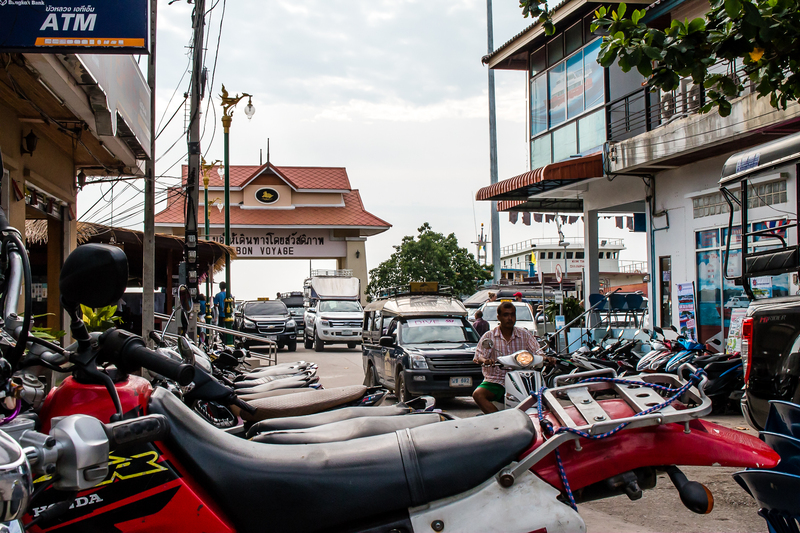 Stepping foot on the island was to step into a new culture, embracing the Thai way of life, that has been uniquely mingled with the influence of tourists from all over the world. The island is full of sights, smells, sounds and views to take in. 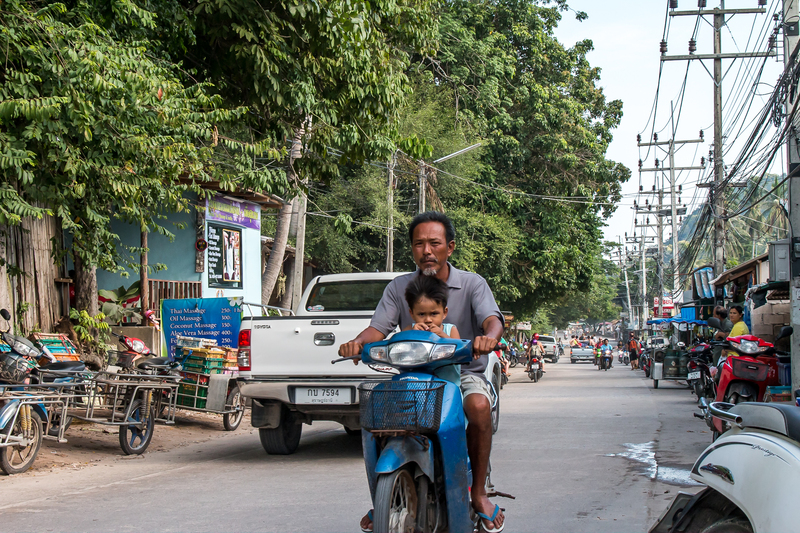 Most people get around the island on mopeds, and scooters, some of which have families stacked up behind the handlebars. 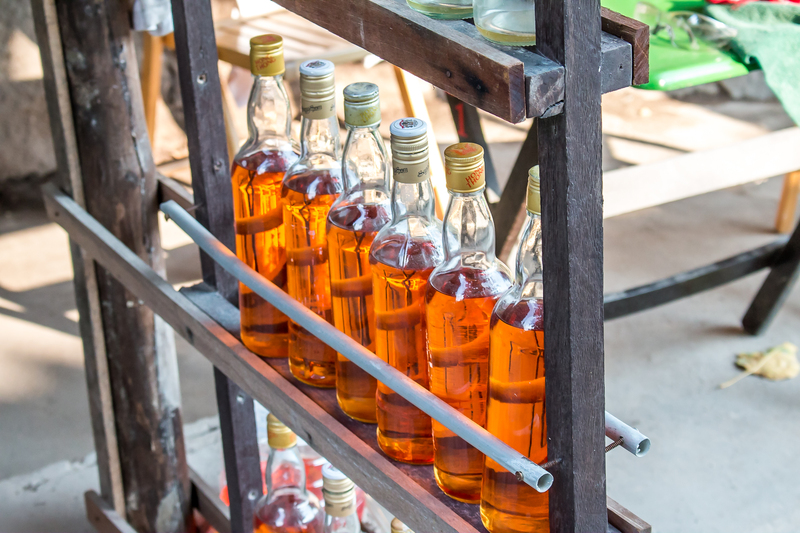 Safety seems of little importance with lack of helmets, balancing of large objects and petrol stations made out of old rum bottles, well, everywhere you look. 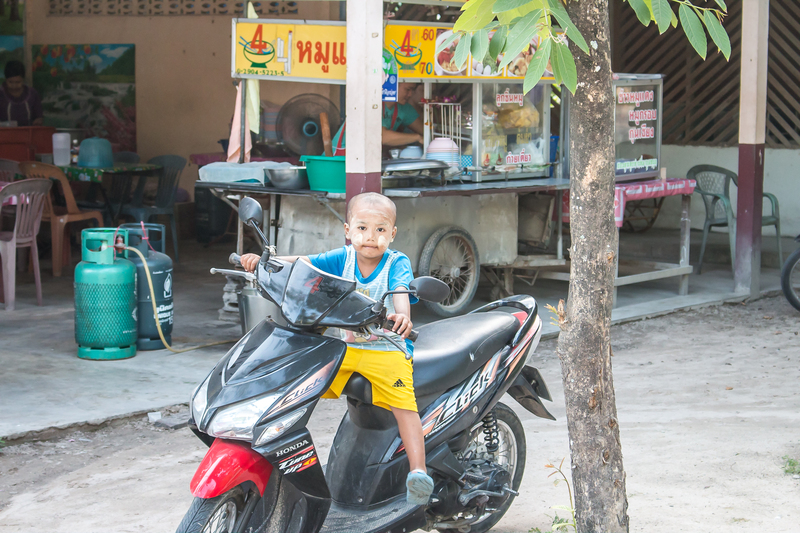 You may even see children riding around on mopeds, but you get used to it after a while! The next day we set off for a walk further afield. 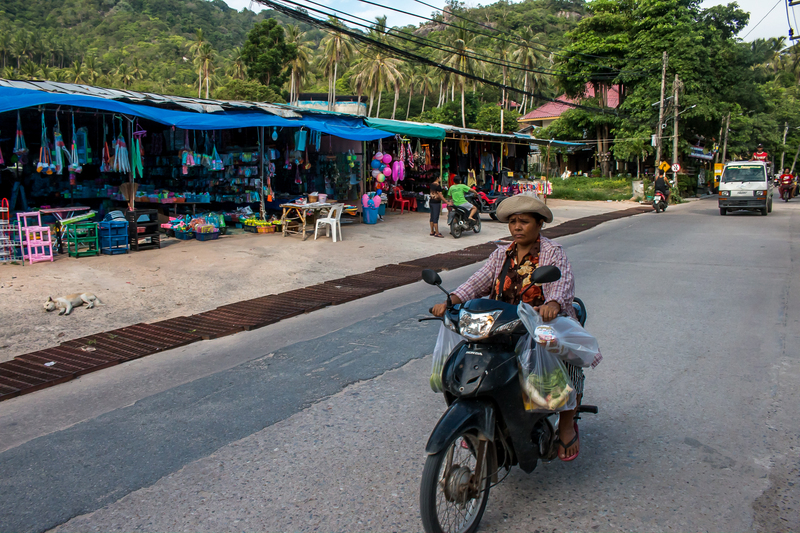 Deciding not to handover our passports as a deposit for a moped, we tracked along the island roads on foot passing local villager’s homes and stalls selling exotic fruit and vegetables, flowers and homemade products. 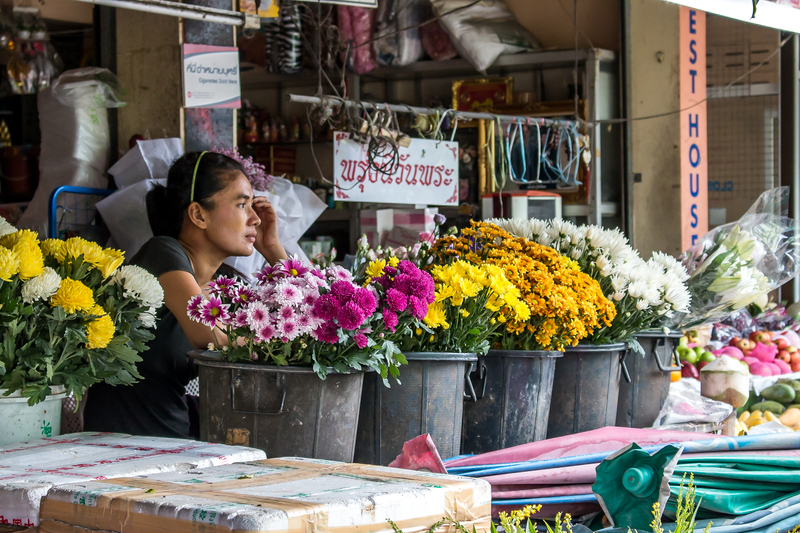 In the town where the ferries moor up, we visited local shops and market stalls, admiring the local produce – from beaded bracelets, carved figurines and woven baskets to colourful print clothes, bags and more. 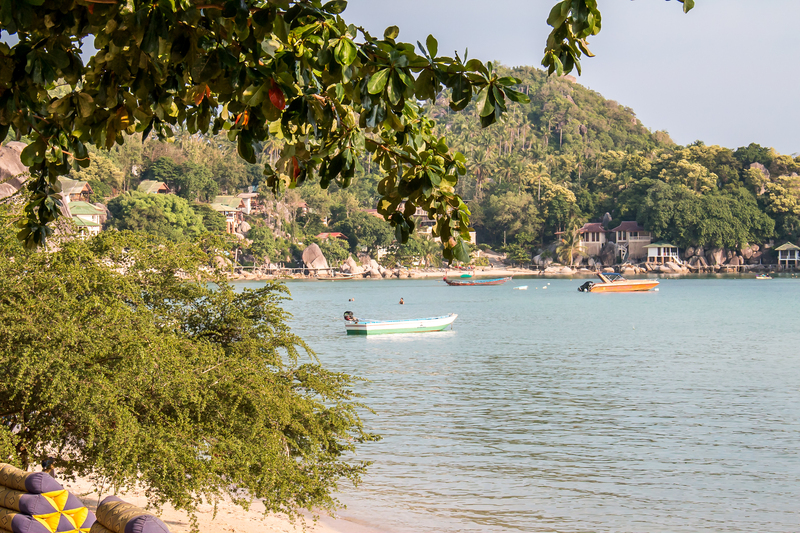 We really enjoyed exploring the island paradise of Koh Tao, embracing new flavours, making footprints in the sand and admiring local craftsmanship. 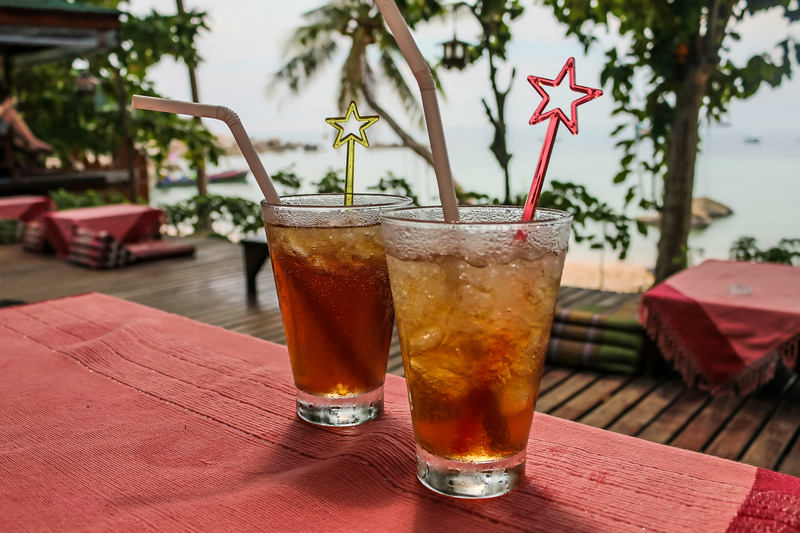 From Koh Tao’s beach bliss, we went on to Koh Phangan, where we stayed at another hilltop resort, Phangan Utopia Resort, where we had a couple of chill days, lounging by the pool and watching tropical storms pass us by. Only venturing down from our hilltop home once, we visited the local village of Maehead, eating out and walking along the golden sands. Far from the full moon all night party crowd, we took our time on the second island for a little R&R and so there’s little to report back to the blog, other than our enjoyment of poolside bars and oceanic views. 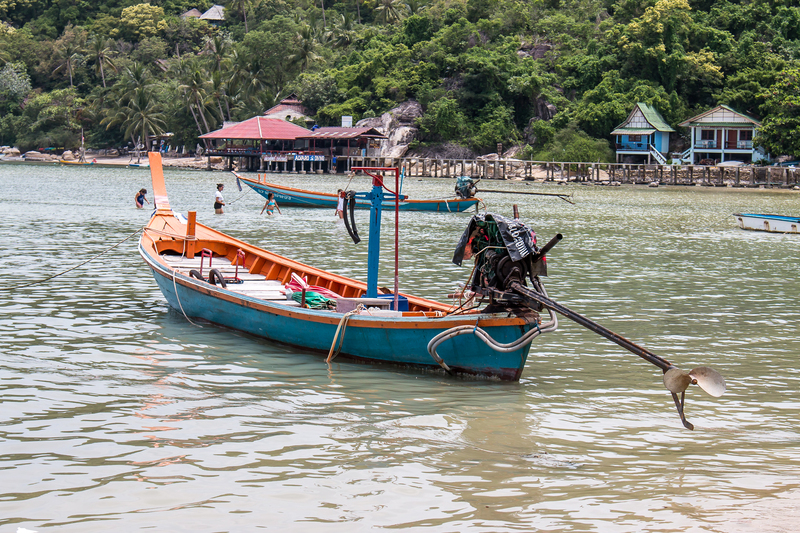 Come back next time to find out about our favourite Thai island stop-off, Fisherman’s Wharf on Koh Samui, where Thai culture meets luxury island holiday.